We also have a range of peg and pole tents, stretch tents and gazebos for hire. 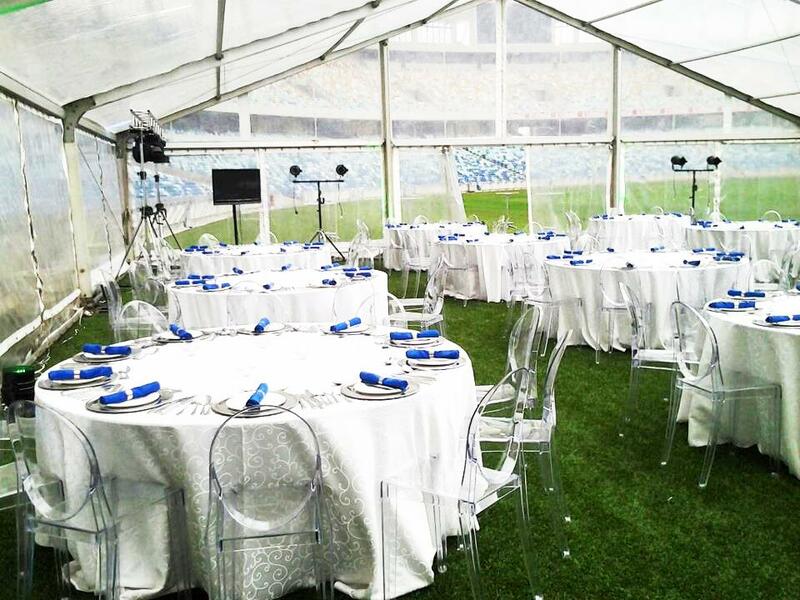 We are the only ones who can supply over 60 gazebos at one time We can also supply artificial grass flooring, solid wood flooring and various finishes for solid flooring. Air conditioning units and fans available.